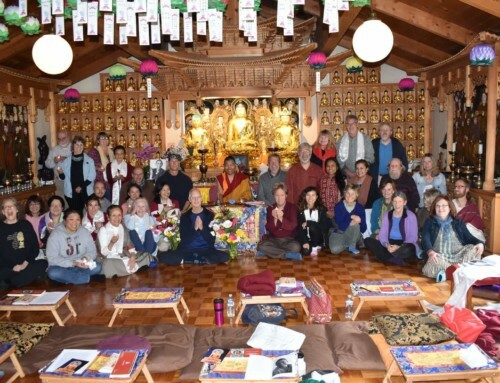 It was Monday, January 21, 2019, we concluded our Dechen Shingdrup practice. 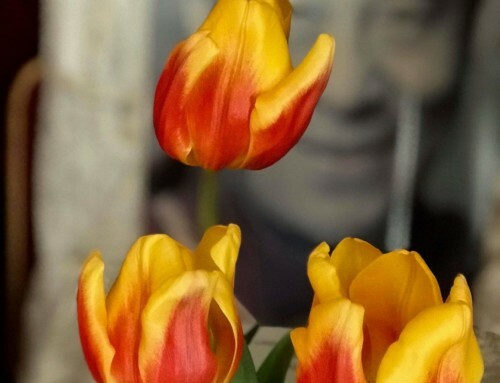 Before going to bed, I usually do my practice and that night too, I lit all the lamps and prayed in the quiet, calm and blissful silence of the night and then went to bed. Because of the special sweet taste of molasses, I immediately think about how the experience of emptiness as described in the teachings. The teachings liken the experience of emptiness, simply to the taste of sweet molasses. As one cannot describe the exact sweetness of molasses, at the same time, one cannot exactly describe the experience of emptiness, it is simply an experience. 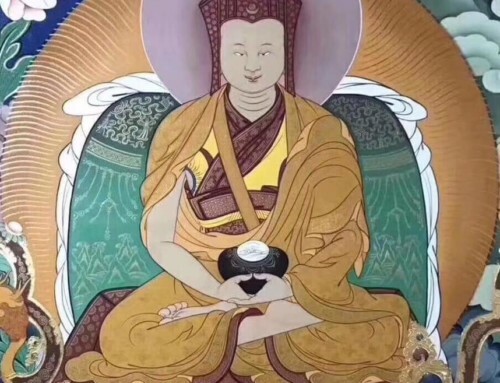 Shar-Drol Due-Nyam is referenced in the teachings of the great Dzogchen masters like Garab Dorje, Jamphel Shennyen and Shri Singha and their lineage holders. It means the moment a thought arises, it dissolves into the vast expanse of emptiness. Instantly my guru vanishes in my dreams and I woke up. As I woke up from this amazing dream in awe, my hands are tightly closed and I felt there was a real molasses in the palm of my hand. I sat there for about an hour and looked at my hands again and again. By then it was about 5:00 am and I got up from my bed, sat in my meditation seat and practiced for about 2 hours. During this time, as memories of the kindness of my root guru came forth like layers, one by one, tears rolled down my cheek and I prayed. 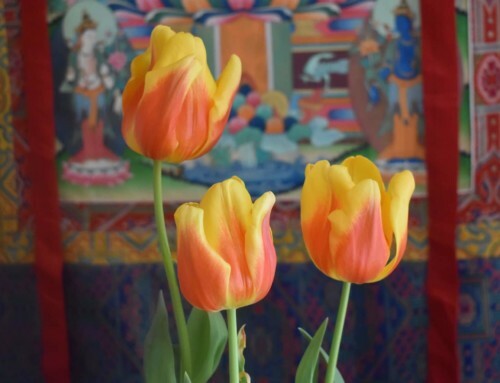 Every time I dream of my root guru, I feel the strong power of kindness, compassion and emptiness that stay with me for the length of that month or week. I write this not to boost my ego or make this up but because my root guru was so kind to me, I noted this dream as a remembrance of one of these special dreams of him. My name is Shay, and my husband’s name is Mani. 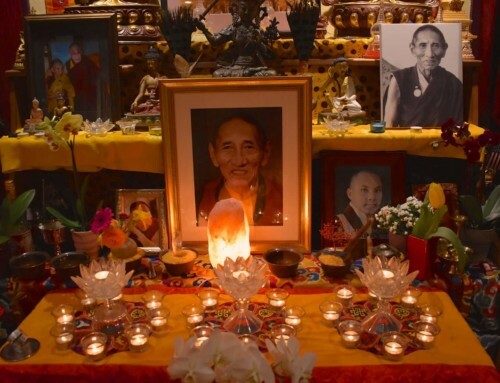 We live in Santa Cruz and have been very much wanting to visit your Dharma center. Thank you for these valuable blog posts! 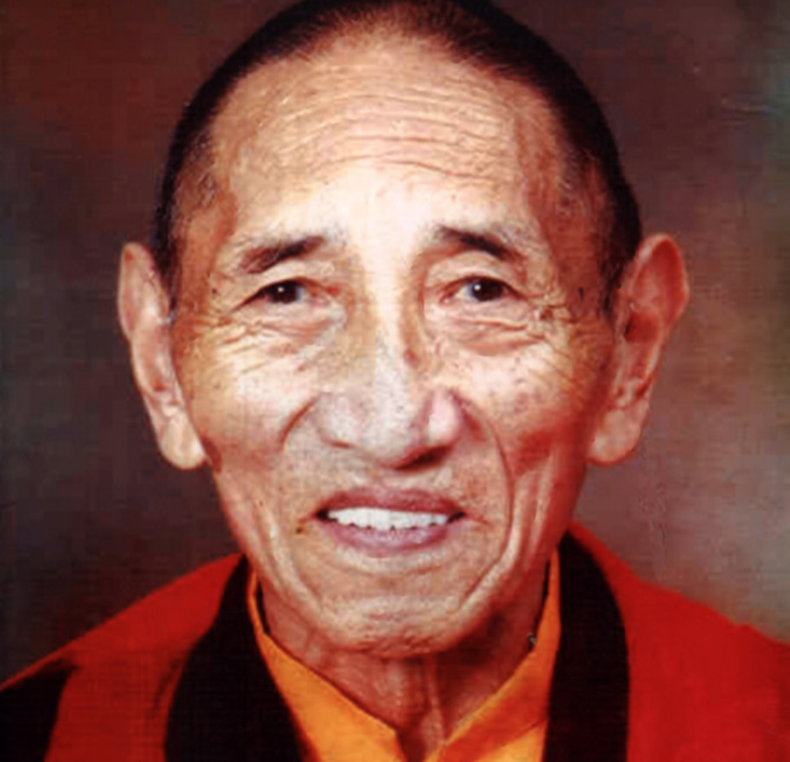 This is such an amazing and profound dream, Rinpoche! Dreams like this are very auspicious and precious gifts, from our beloved gurus, teachers and spiritual family in the higher realms. Thank you for sharing it.